Our clients will benefit greatly from the insights and experience he brings to the table. Structure Law Group, LLP is pleased to announce the addition of attorney, Da Zhuang, to its San Jose transactional team. Da Zhuang’s practice primarily focuses on corporate transactional matters and complex business and commercial litigation. Mr. Zhuang represents clients in a wide variety of transactional matters including, but not limited to, technology agreements, software licensing, commercial contracts, and mergers and acquisitions. Mr. Zhuang is also involved in litigation and dispute resolution, from pre-lawsuit advice, to managing discovery, to motion practice, as well as mediation and arbitration. Prior to joining Structure Law Group, Mr. Zhuang was a practicing attorney with national law firms Perkins Coie LLP and Dechert LLP, where he focused on high-profile IP litigation as well as technology transactions. Most recently, Mr. Zhuang was in-house counsel at a Chinese technology company where he worked on various IP and technology deals. While in law school, Mr. Zhuang was an associate editor with the Santa Clara Law Review and High Technology Law Journal. Mr. Zhuang also externed for the Honorable Otis Wright II of the United States District Court for the Central District of California, where he assisted adjudicating federal court cases including securities class actions, medical device liability disputes, patent infringement cases, mortgage banking disputes, etc. Mr. Zhuang received his J.D. from Santa Clara University’s School of Law, with Dean’s List and Emery Scholar honors. 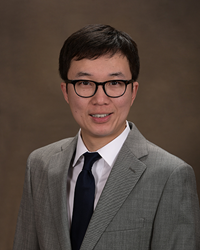 Prior to entering law school, Mr. Zhuang worked as a semi-conductor engineer and holds undergraduate and Master’s degrees in electrical engineering, which gives him a keen understanding when helping clients with technology-related matters. Born and raised in Mainland China, Mr. Zhuang is fluent in Mandarin Chinese and frequently helps clients from China and Taiwan. “Da’s electrical engineering background adds a new dimension to our technology transactions practice. He embodies the technical sophistication we want in our team, and our clients will benefit greatly from the insights and experience he brings to the table,” said SLG attorney, Clint Webb. Structure Law Group, LLP is committed to providing an exceptional client experience through innovative and cost-effective legal services and solutions. Located in Silicon Valley, SLG assists domestic and international clients of all sizes. SLG’s practice broadly encompasses all areas of business law including, but not limited to, intellectual property disputes, technology agreements, business litigation transactions, employment law, and construction and real estate matters. SLG’s attorneys are a dedicated team of experienced legal professionals who have a solid understanding of companies of all sizes.